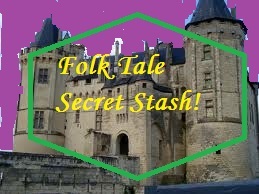 Folk Tale Secret Stash: The Master-Thief. Though I am partial to the classics, I do try to read an assortment of different things. I mean, a mind can’t survive on just folk tales and children’s books. Just recently I indulged in some classic crime fiction. 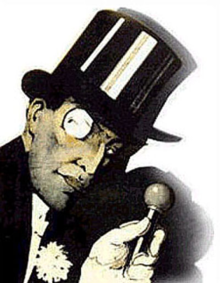 The adventures of Maurice LeBlanc’s gentleman thief character Arsene Lupin. Lupin’s an amazingly crafty criminal with his own code of honor and a heart that he hides behind a veneer of whimsy and arrogance. He’s hardly the only character of this type, though. Italian comics have Diabolik. More contemporary English literature has Simon Templar, also known as The Saint. And those of us who grew up reading American superhero comics in the ‘90s can’t forget about Remy LeBeau, the X-Man known as Gambit. What I’d nearly forgotten is that the Brothers Grimm also contributed a crafty purloiner of possessions to the greater culture. If you take a copy of Grimm’s Fairy Tales and you turn towards the back end of the book, you might come across a tale simply titled “The Master-Thief"
(there’s apparently a Norwegian version of this tale too, which I am discovering right now). The story opens with a man and his wife at a ramshackle house. Suddenly a carriage drawn by four black horses comes up and a richly dressed man descends from it. Taking the man for a nobleman, they ask what they can do for him. He says he would just like to taste a peasant dish and asks for a potato dish the way country-folk make. The peasant woman goes to make the potatoes and the nobleman goes into the back with the man where he has been planting trees. They start talking about family and the peasant man says that he used to have a son who was clever but a ne’er do well who was full of bad tricks. The son apparently went off into the world years ago. His father would hardly recognize him today except for maybe a birthmark on his shoulder in the shape of a bean. They then talk about gardening and the “nobleman” asks why he doesn’t tie up an old, twisted tree in the garden. The man responds that trees have to be trained when they are young to grow up “straight and narrow”. You know what, let’s cut to the chase. It turns out the nobleman actually is the man’s son, birthmark and everything. The son is now, as he puts it, a “master-thief”. To him, there are neither locks nor bolts, anything he desires is his. He also makes a point of noting that he doesn’t steal from the poor. He only takes some of the “superfluity of the rich”. He also doesn’t steal anything that he could take too easily. He only goes after that which he must acquire with “trouble, cunning and dexterity”. So, it turns out this master-thief’s godfather is the Count of all the surrounding area, and he has a rather dim view of thieves. His father even warns him that if the Count finds out, the thief would find himself swinging from a halter. The thief doesn’t seem to think much of this warning, so he goes to the Count and tells him about his vocation himself. The Count decides to deal with his godson with some leniency. 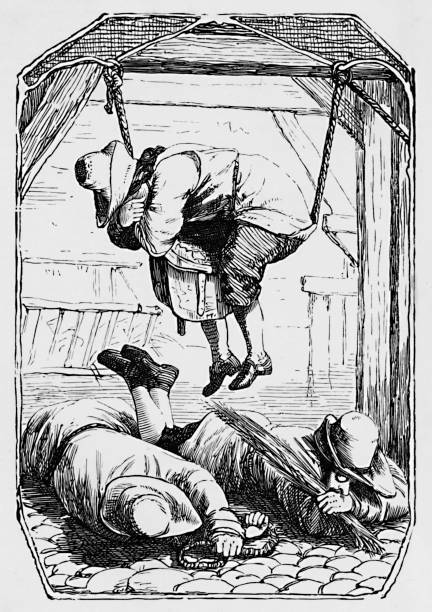 Instead of sending him straight to the gallows, he sets three challenges for him and if he fails any of the three he’ll hang. 1) To steal the Count’s personal riding horse right out of the stables. 2) To steal the bed sheet out from under the Count and his wife, as well as his wife’s wedding ring. 3) To steal the parson and the clerk out of the church. I’m not going to spoil how he pulls off these daring heists, because that’s the fun part. I will say that they involve disguises, cunning, mistruths and misdirection. And surprisingly no killing. That’s not often the case in stories like this. But I think all this begs the question: Why do we like rogues? (Pretty sure I covered this in my Robin Hood post, but stick with me anyway because I’m on a roll). Rogues and thieves appear in folklore from all over the place. I know of examples from Europe and Asia, but it wouldn’t surprise me if there were a few in Africa and Latin America too. Jack is a bit of a rogue in his most famous outing, considering he steals from a giant. Then there are the legendary figures like Robin Hood and Ishikawa Goemon. Heck, the American West is infamous for making legendary heroes out of real life criminals like Billy the Kid. It especially feels strange when rogues are in fairy tales. Of course, that’s because we’ve had a couple centuries of people trying to turn them into moralistic stories for children. “The Master-Thief” is more folk tale than fairy tale because there’s no magic in it, but it would still receive the same attention by proximity. I think, on some level, there’s a part of everyone that wants to buck the rules of society. This could especially be true for times and situations where those rules seem to hold people back or keep them down. Those situations where the rich seem to get richer beyond all need and the poor get poorer . Lately, there seems to be a lot of that going around. It’s especially appealing when the rogue in question doesn’t seem all that bad to begin with. When the rogue breaks one big societal rule but follows his own rules that are understandable and sympathetic like “no stealing from the poor” or “no killing people”. Or if the end result is some degree of wealth redistribution like it is with Robin Hood. Folk tale characters aren’t known for their depth, but just this much nuance can elevate a character enough to significantly make them more interesting. Well, whatever it is, I like “The Master-Thief” and I’m glad to add him to the secret stash.